Unexpected weather conditions or vandalism can result in front door or window damages needing to be fixed immediately. Depending on the customer needs, an alternative besides a full window replacement is a board up service. At Bob’s window and repair service, we understand each customer needs giving them the right quote in case they need provisional board up for their home. 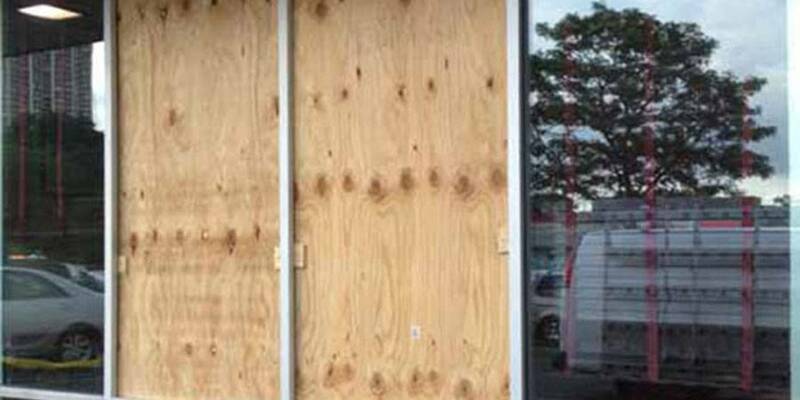 We offer business owners a board up service for their front door or windows, to seal any existing damage due to burglary, weather conditions or accidental damages. Securing your office immediately is important to protect your investment so you can still be in business with no delays from any kind. That includes our faster service from the time of your phone call to the board up installation without compromising the quality of our work. We understand the need for a secure board up service for your home or business when unexpected emergencies happen. Our board up professionals are 24/7 on call for immediate installations for the safety of your loved ones, property, and belongings.